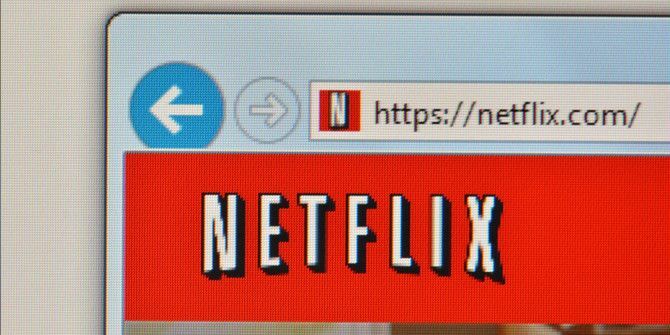 Last week, we shared that Neflix has tons of secret codes Improve Your Netflix Searches With These Secret Codes Improve Your Netflix Searches With These Secret Codes If you need a little more specificity when searching Netflix, you can use some secret codes to find exactly what you need. Read More that allow you to search for specific genres of shows. While they’re only meant for use in the browser, these allow you to hone your searches to find exactly what you want to watch. There’s already an easier way to use these categories, and it doesn’t involve looking up any codes. A Chrome extension, titled Netflix Super Browse, adds a new Super Browse menu to the main Netflix page that lets you browse by all the new categories instead of just the built-in ones. This means you can check out the new categories all at once and quickly switch between them, instead of having to copy and paste codes. The Chrome extension is in beta but fully functional. If you’re a Firefox user, you can also download the beta Netflix Super Browse add-on for Firefox [No Longer Available]. If the extension doesn’t seem to be working, try disabling any ad blockers AdBlock, NoScript & Ghostery - The Trifecta Of Evil AdBlock, NoScript & Ghostery - The Trifecta Of Evil Over the past few months, I've been contacted by a good number of readers who have had problems downloading our guides, or why they can't see the login buttons or comments not loading; and in... Read More on Netflix’s site and see if the menu appears. I tried it on my smartphone and it works too, but you have to open Netflix using a browser and not the Netflix app. Also I gave it a run on my smart TV browser and it listed the movies for me but it won’t open. Since most of us watch Netflix on TV, I opened the movie on my smartphone and mirrored it on my TV. Problem solved. You can find the movie that you want using your computer or smart phone and search it on your TV’s Netflix as long as your phone and TV Netflix are set for the same country. Which new categories do you find the most interesting? Share what you’ve been watching in the comments! Except when your Smart TV (Samsung 60" 4K) integrates with your Home Automation, Cell Phone, Tablets, Laptops, etc., etc. to create a heads up display and media center for less than $850. Dumb tv, raspberry pi and old android tablet as remote. Cheap, compact and flexible. Then it's not a smart TV. You would need to purchase a Chromecast, Amazon Fire Stick, Roku, or Apple TV to add smart functionality to the TV. The Roku is a great choice if you're not invested in Google's, Apple's, or Amazon's ecosystems yet. The Chromecast is a good choice if you only need barebones streaming. Exactly what I needed to make my monthly subscription worthwhile! Thanks for the heads up. My first category was "Art House Movies" and I found that my next several months will be well programmed. Favorite categories can be bookmarked as well in the browser. I'm glad this redeemed Netflix for you! Sounds like a cool category, and I'm glad you have plenty to watch!